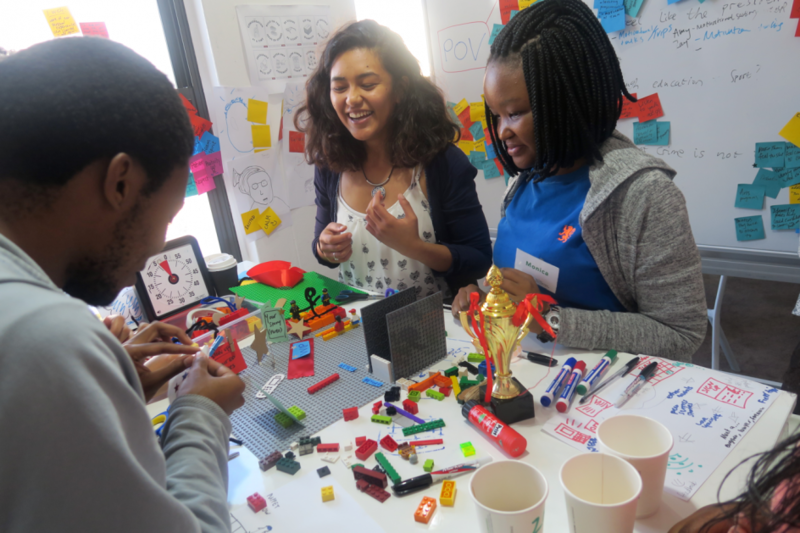 The d-school held its second Design Thinking Week from 3 to 6 July. This four-day training programme is aimed at students from tertiary institutions all over South Africa. Students came from the Nelson Mandela Metropolitan University (Eastern Cape), University of Johannesburg (Gauteng), Cape Peninsula University of Technology (Western Cape), University of South Africa and the University of Cape Town (Western Cape). Learning to apply the fundamental tools and techniques of design thinking to real world challenges. Practise in working in multidisciplinary teams. Learning to apply a human-centred approach to problem solving. Learning to reframe a challenge in a multidisciplinary team.